The Challenges of Collecting Workers’ Compensation in Mass. We think of workplace injuries as exclusively physical – slips, falls, and slipped discs — but at any given time, an employee could be experiencing mental health issues that could compromise his or her ability to work. Some workers may wonder what their options are when it comes to the impact their jobs have on their mental health. It’s critical to understand the implications and challenges surrounding work-related mental health conditions, as well as the importance of addressing them. In a recent Harris Poll survey, over 2,000 adults across the United States shared their perspectives on work-related burnout and mental health. Roughly 55 percent of respondents reported experiencing burnout on the job, but only 34 percent took time off because of it. 46 percent of respondents said that employers wouldn’t consider mental health an acceptable reason to take time off from work. 39 percent reported being too busy to take time off from work to address mental health. 36 percent didn’t want to deal with the shame or judgment by co-workers. 35 percent feared that someone else would take over their responsibilities. 33 percent feared the social stigma surrounding mental health. Collecting workers’ compensation due to mental health issues can be challenging. Most importantly, any injury (whether physical or mental) must have occurred within the scope of your employment. Otherwise, your claim will likely be denied. If you slipped and fell at work, there is hard evidence that you were injured on the job but proving that the conditions of your job caused burnout can be difficult. In some cases, enough evidence can exist to prove that a work-related incident caused a mental injury. For example, a worker could suffer anxiety or PTSD after experiencing bullying or violence on the job. Nonetheless, mental health in the workplace should be addressed by employers. In many cases, symptoms of burnout play a factor in physical injuries that occur on the job. For example, an anxious worker may be more likely to take unnecessary risks that could result in an injury. In addition, burnout and worker fatigue is a common factor in serious workplace injuries. If an incident at work, or the conditions of your job, caused any type of injury, it should be reported to your employer immediately. An experienced Massachusetts workers’ compensation attorney can review the details surrounding your accident and help you explore your legal options. If you’ve been hurt on the job, contact Law Offices of Deborah G. Kohl. 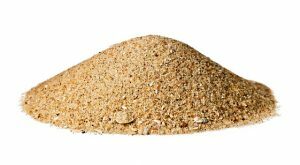 Crystalline silica is a major component of soil, sand, and granite, as well as other materials that construction crews work with daily. It is a known human lung carcinogen, which means exposure to it could cause lung cancer. It can also cause silicosis, a condition which can yield debilitating symptoms or even death. Some symptoms of silicosis include shortness of breath when exercising, fatigue, chest pain or other respiratory issues. Silicosis is a chronic disease that can appear even decades after exposure. In order to determine the magnitude of the exposure to crystalline silica among construction crews, The Department of Public Health along with the University of Massachusetts in Lowell sent a team of researchers out to collect “personal breathing-zone samples,” as well as “area samples” from demolition sites and bridge repair sites. They found that construction workers who were chipping off concrete on the substructures of bridges were inhaling the highest concentrations of crystalline silica, at an average of 527 micrograms per cubic meter of air. The Occupational Safety and Health Administration (OSHA) regulations state that any concentration above 50 micrograms could have devastating health consequences. That means at this single site, workers were inhaling ten times the required limit put forth by OSHA. Of the samples gathered, those from other laborers and engineers had the lowest level of exposure at only 17 micrograms per cubic meter. The researchers also found that, even with the use of masks and other respiratory protectors, exposure was still an issue. Our construction workers are a vital part of our economy. They brave all manner of extreme weather and hazardous road conditions every day. They sacrifice so much to provide us with sturdy roads, houses and businesses. Their dignified work should not come at the cost of their health. At the Law Offices of Deborah G. Kohl, our team fights for construction workers and all others who have been injured on the job. We believe that a successful case starts with building a strong, trusting relationship with our clients. From your first call to your last court date and beyond, we work tirelessly to get you the care and compensation you so rightly deserve. If you were injured at a job site, don’t wait. Contact us. We’ll take care of the rest. We are in the middle of winter, which spells danger for those who work outdoors. 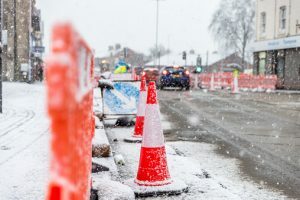 Cold temperatures, icy conditions, and snow-related accident risks most commonly impact construction workers, snow-removal workers, utility workers, drivers and other employees whose job duties require them to endure these winter conditions. The Occupational Safety and Health Administration (OSHA) has identified several hazards workers face during the winter and ways you can protect yourself. Ensuring that employees are trained on how to navigate winter weather conditions. Ensuring that company vehicles come with functional brakes, adequate antifreeze and water levels in the cooling system, fully charged battery, functioning alternator, up-to-date engine systems, functioning exhaust system, well-maintained tires, adequate oil level, and up-to-date lights, defrosters, and wipers. Ensuring that drivers are equipped with emergency kits. OSHA suggests providing employees with a cellphone or two-way radio, ice scraper, snow brush, flashlight, shovel, tow chain, traction aid, emergency flares, jumper cables, snacks, water, maps, blankets, and a change of clothes. When roads, sidewalks, or work zones are compromised by snow or ice, workers are susceptible to devastating accidents. They can be struck by skidding vehicles or work equipment. In order to protect workers, employers should implement traffic control signs, cones, barrels, and barriers. Additionally, workers should be equipped with highly visible vests or jackets. Snow-removal workers are often at risk of exhaustion, dehydration, back injuries, or heart attacks while shoveling. Employers should offer frequent breaks and allow workers to warm up in order to prevent cold stress, hypothermia, or frostbite. When using powered snow blowers, it is crucial that all equipment is unplugged from power sources or offer protection to prevent electrocutions. Equipment should be powered off when workers clear jams, as moving parts can cause lacerations and even amputations. When clearing snow from rooftops, employers should train workers on how to properly use ladders, aerial lifts, and to be cautious of falling snow and ice. Any worker who steps outside during the winter during the scope of his or her employment is at risk of slipping and falling. 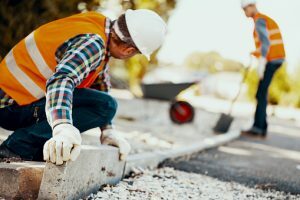 These accidents can happen to construction workers who spend the vast amount of time outdoors, or retail workers whose job functions could require only occasional outdoor duties. In order to prevent slip and falls, it’s up to employers to make sure that parking lots are plowed and all walking surfaces are free of snow and ice. Slip and falls are not just an outdoor risk. Snow, slush, or water tracked in from outdoors can create a slipping hazard, too. Regardless of what caused your work-related injury, it’s critical that you notify your employer and seek medical attention as soon as possible. Your next step should be to file a workers’ compensation claim. This process isn’t easy. The paperwork can be confusing and if not done correctly, insurance companies may be likely to deny your claim. Don’t go it alone. Speak to an experienced Massachusetts workers’ compensation attorney who can help you navigate the process and negotiate for a fair settlement. To learn more, contact us today. Teenagers are some of the most vulnerable workers in Massachusetts. Most of them are entering the workforce for the first time. 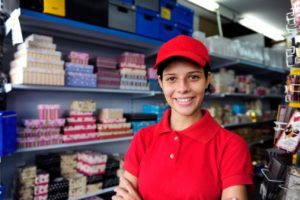 According to an annual report published by the Massachusetts Department of Public Health, 17 percent of teenagers ages 15 to 17 were employed across the state at some point in 2015. From 2011 to 2015, there were approximately 1,379 emergency department visits due to job-related injuries to workers under age 18, according to data collected by the Young Workers Project (YWP). Additionally, there were 569 workers’ compensation claims filed for the same age group. YWP began collecting data on work-related concussions in 1993 and documented a total of 81 workers’ compensation claims for workers ages 14 to 17. Approximately 44 percent of those head injuries occurred between 2011 and 2015, with 61 percent of them affecting 17-year-olds. Whether you’ve been working for a year or two, or you’re just entering the workforce, it’s important to understand your rights if you sustain an injury on the job. Workers’ compensation not only covers partial lost wages for the time you spend away from work, it covers your medical expenses as well. Obtaining workers’ compensation can be very complicated. The insurance companies responsible for handling benefits might take advantage of the biases towards teenagers. They might claim you were irresponsible or that getting hurt is something that just happens at your age. However, the legal team at the Law Offices of Deborah G. Kohl know that these biases aren’t true. Regardless of your age or level of work experience, we can work with you to make sure you’re treated fairly. Contact us today to discuss your legal options. Construction work is dangerous across the board, but some construction workers are in more danger than others. The data shows that the number of workers employed by a construction company can make a significant difference when it comes to safety. In a 2018 quarterly report published by the Center for Construction Research and Training (CPWR), small construction companies – that is, companies with no more than 19 employees – experienced about 67 percent of all construction-related fatalities in 2016. Why does this happen? As a rule, smaller construction companies may require their workers to exert themselves to excess while taking on large construction projects. Additionally, smaller companies may be more likely to cut costs and time by ignoring safety procedures and guidelines. In both instances, workers are put at a higher risk of being fatally injured. Falls to lower levels: Involves falling from scaffolds, ladders, and other heights. Construction companies with no more than 10 employees experienced 61.5 percent of these fatal accidents. Struck by accidents: Construction companies with no more than 10 employees experienced 32.8 percent of fatal accidents involving workers being struck by equipment and debris. Electrocutions: Electrocution deaths on construction sites are often caused by exposed wires or wires in contact with water. Companies with no more than 10 employees experienced 55.6 percent of these fatal accidents. Caught-in/between accidents: Involves being caught in or between equipment or structures. Construction companies with no more than 10 employees experienced 44.9 of these fatal accidents. Of course, fatal accidents happen at larger construction companies as well. Businesses of all sizes cut corners on safety. Even when construction accidents aren’t fatal, they can leave workers with devastating injuries that can require months of medical treatment. X-rays, pain medication, physical therapy, and surgery aren’t cheap. You may wonder how you can afford to pay hefty medical expenses if you’re unable to work. 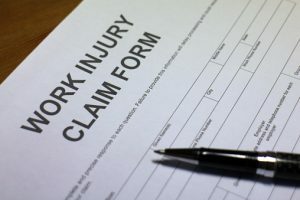 Luckily, if you are injured on the job in Massachusetts – regardless of who’s at fault in most cases – you are entitled to workers’ compensation benefits. This will cover your medical bills and partial wages you earned while at work. Contact the Law Offices of Deborah G. Kohl today to get your claim started. Have you experienced stiffness, swelling, and inflammation in your joints? Perhaps the affected area feels warm or appears red? You may have rheumatoid arthritis (RA) – an auto-immune disease that affects the hands, feet, elbows, knees, shoulders, and hips. You may be wondering how you sustained RA. According to a study on job-related arthritis, conducted by a doctoral student at the Karolinksa Institute in Stockholm Sweden, RA could be attributed to your work environment. Men who worked in manufacturing were at a greater risk of developing RA than men who worked in other professions. Electrical and electronic workers, as well as bricklayers, were twice as likely to develop RA due to their job conditions. Women who had jobs as assistant nurses and attendants were at a slightly higher risk of developing RA; however, women in manufacturing jobs were not. According to Rheumatoid Arthritis Support Network, RA can be triggered by environmental factors including insecticides, food and product chemicals, air pollution, and other harmful toxins. Another Swedish study found a link between crystalline silica exposure and a heightened risk of RA. Crystalline silica is a compound often used in manufacturing and construction. Those who work with cement, brick, asphalt, china, ceramics, and steel may be exposed to crystalline silica or silica dust. A 2008 study conducted in Libby, Montana found a link between asbestos exposure and RA among 1,672 vermiculite miners, millers, and workers handling amphibole fiber. The study concluded that the workers were 9.5 times more likely to be diagnosed with RA after 15 years. If you have developed RA or any other type of injury or illness, proving that it was caused by your work environment can be difficult. Without an experienced attorney on your side, the insurance companies that handle workers’ compensation benefits in Massachusetts could deny your claim. What’s worse, your condition could leave you out of work for a lengthy period of time. Medical treatment can be costly, and as you’re unable to collect a paycheck, your bills can pile up. That’s why it’s important that your rights are upheld. The legal team at the Law Offices of Deborah G. Kohl can help you navigate the process and ensure that you are treated fairly. We’ll also fight for a fair settlement. Contact us today to schedule a free case evaluation. Truck drivers in Massachusetts have a tough job that can take a toll on their well-being. They spend up to 11 hours on the road per workday, and other duties can also cause physical wear and tear. One of the most common long-term injuries truckers sustain is musculoskeletal pain. If left untreated, this condition can worsen and even result in permanent complications. At The Law Offices of Deborah G. Kohl, P.C., we have seen how this type of injury can affect truck drivers. Musculoskeletal pain is a long-term condition that can develop from poor posture, repetitive strain or long periods of immobility. Over time, muscles can shorten and problems with spinal alignment can develop. This type of disorder, which affects an estimated 54 percent of the adult workforce each year. can cause chronic low back pain, anxiety, sleep disorders, and depression. The back pain associated with musculoskeletal disorders alone is the second most common factor in missed work days for workers under 45 years of age. It also makes up about 25 percent of all workers’ compensation claims nationwide. 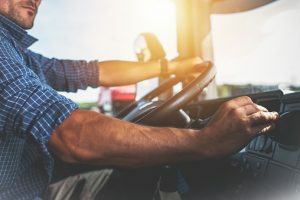 A survey conducted by researchers at The University of Waterloo in Canada questioned 107 male truck drivers at two Ontario truck stops. Approximately 61 of those drivers (57 percent) reported experiencing persistent pain within the 30 days prior to the survey. Making a full recovery so you can perform your job to the best of your ability may take months. If you’re concerned about the cost of medical treatment and lost wages, it’s important to discuss this matter with an experienced workers’ compensation attorney at the Law Offices of Deborah G. Kohl. We know how to negotiate with your employer’s insurance company for a fair settlement. Your injury doesn’t have to be caused by a single incident. We also handle claims involving repetitive stress. If you have sustained a job-related musculoskeletal disorder, contact our law firm to learn how we can help. We put your needs first. Your rotator cuff is comprised of several muscles and tendons that keep your arm secured in the shoulder socket. Like most injuries caused by repetitive stress, rotator cuff tears are common in occupations that require repeated arm motion. This can include construction workers, painters, carpenters, machine operators, welders and warehouse workers. In most cases, rotator cuff injuries happen over a long period of time, and often from normal wear and tear. Partial tear: The tendon on top of your shoulder becomes frayed or damaged. Complete tear: The tendon on top of your shoulder is torn all the way through or is pulled off the bone. 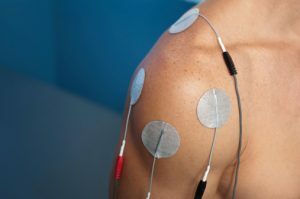 When treating a rotator cuff injury, your doctor may examine the affected shoulder and conduct an MRI, X-ray or ultrasound. On average, a rotator cuff takes six months to heal. However, it could take longer, depending on the severity of the tear. Recovering from a torn rotator cuff not only takes time but also can be costly. Not only will your medical bills accumulate, but you will be required to take a significant amount of time off from work. If your rotator cuff injury was job-related, it’s crucial that you understand your rights. Don’t let your boss downplay your injury. Even if there isn’t a lot of pain, a torn rotator cuff is serious. You need time off from work to recover. You are also eligible for workers’ compensation benefits that will cover your wages and medical expenses while you’re unable to work. An experienced workers’ compensation attorney at the Law Offices of Deborah G. Kohl can help guide you through the process. We can also negotiate with the insurance companies responsible for issuing workers’ compensation benefits. We’re experienced at handling repetitive stress injuries just like yours and proudly serve Massachusetts and Rhode Island. Contact us today to schedule a free, confidential case evaluation. What is the gig economy? Unlike the conventional workforce – which is composed of rigid schedules and protective mandates – the gig economy is far more flexible for workers and employers. However, this flexibility has many law firms concerned about the future of the workers’ compensation system. The gig economy includes independent contractor positions, which are attractive to many of today’s young workers. You may have seen job ads that read, “Want to work for yourself?” While that may sound appealing, independent contractors aren’t considered employees. This means in the event of a job-related injury, gig economy workers aren’t eligible for workers’ compensation benefits. 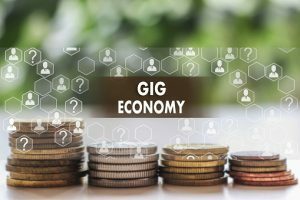 In a podcast interview hosted by Judson Pierce (an attorney at Pierce, Pierce & Napolitano in Salem, MA), attorney Ryan Benharris discusses the growing popularity of the gig economy and how Millennials are entering the workforce in vast numbers. In a presentation titled How Millennials are Changing the Face of Workers’ Compensation: The Consequences of the Gig Economy and the Young Working Class, which was presented at the Workers’ Injury and Law Advocacy Group annual convention in Las Vegas, attorney Benharris explained how employers are taking advantage of loopholes to avoid paying workers’ compensation. If you were injured on the job, contact The Law Offices of Deborah G. Kohl to learn about the implications of workers’ compensation and who is covered.